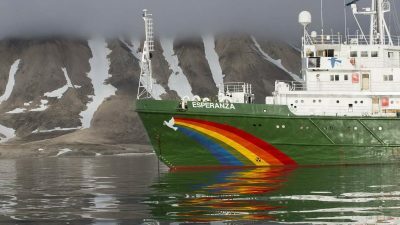 Antarctic krill is one of the highest concentrations of animal biomass in the world's oceans. 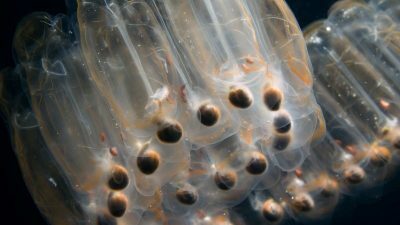 The animals produce carbon-rich faecal pellets that sink into the water column, transporting carbon from the atmosphere to the deep sea. 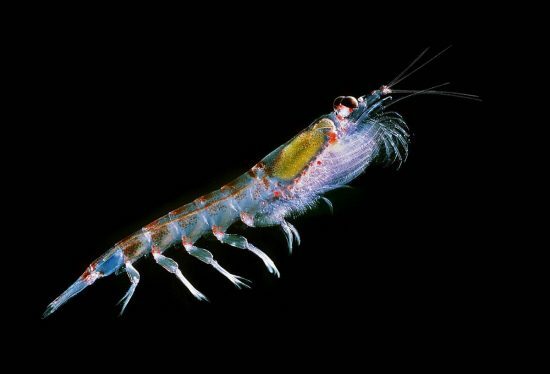 The new study provides an initial estimate of how much carbon can store large swarms of Antarctic krill living on the edge of sea ice through their faecal pellets. The efficiency of this process has an important impact on the global climate. 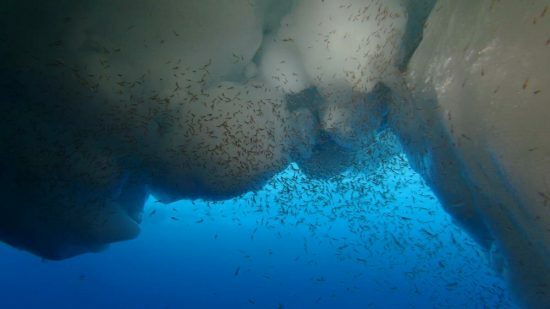 The results show that Antarctic krill swarms account for 35% of the regional carbon removed from surface water in the Southern Ocean. 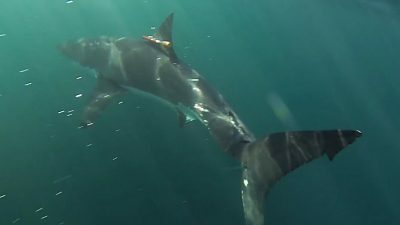 The researchers estimated the krill density in the region based on data from scientific mesh samples stored in the KRILLBASE scientific database. 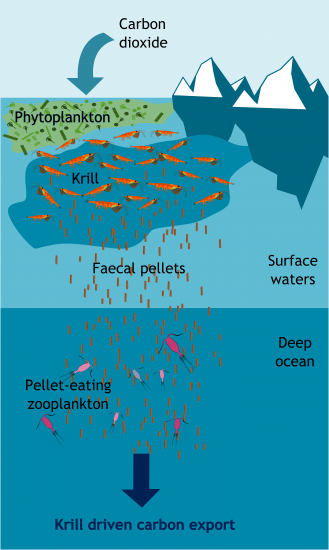 They combined this with estimates of the production of krill faecal pellets based on previous scientific studies to gain an understanding of the potential for "hidden" carbon associated with Antarctic krill in the Southern Ocean. 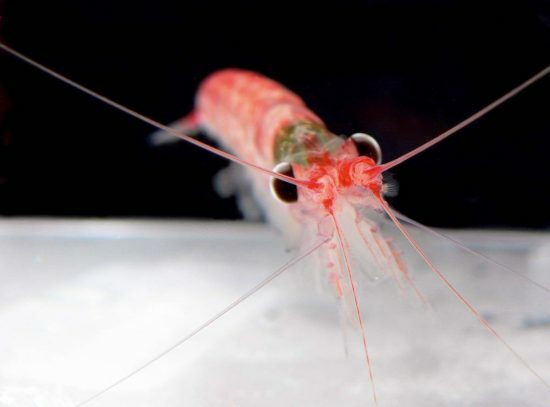 Co-author Dr. Angus Atkinson of the Plymouth Marine Laboratory adds: "Krill species are important in many of the world's most productive food webs, and this work on Antarctic krill also demonstrates their importance in transporting carbon from the surface layers of the ocean." At present, this process is not well represented in many global climate models. 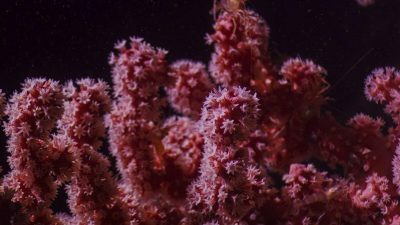 The next steps are to test how the inclusion of krill affects our carbon sequestration estimates in the sea. Link to the study: https://www.nature.com/articles/s41467-019-08847-1.